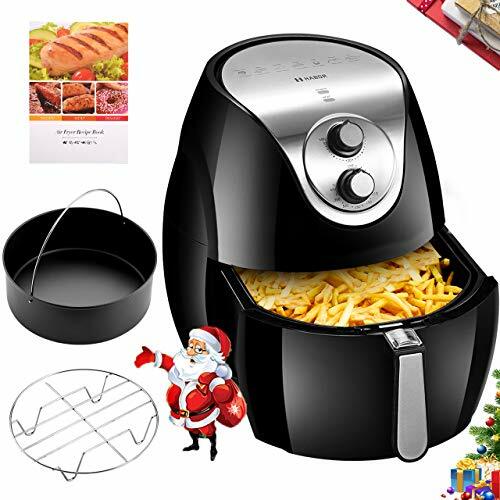 Taking your cooking to a healthy new level is easier than ever with this 8-in-1 multifunctional air fryer oven. 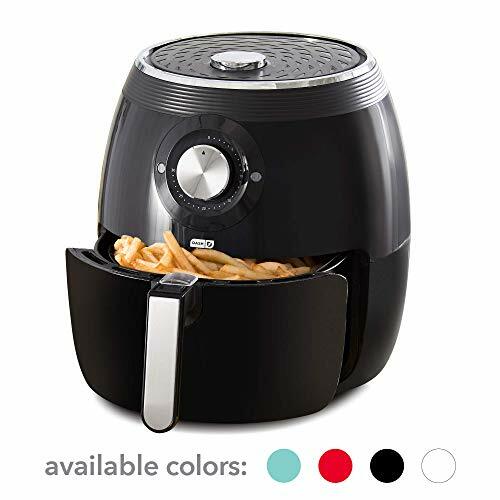 Designed to fry up tasty meals without the extra fat or calories, this oven is also built with a 360-degree rotating system for rotisserie cooking, along with a dehydration function for fruits, veggies, and much more. 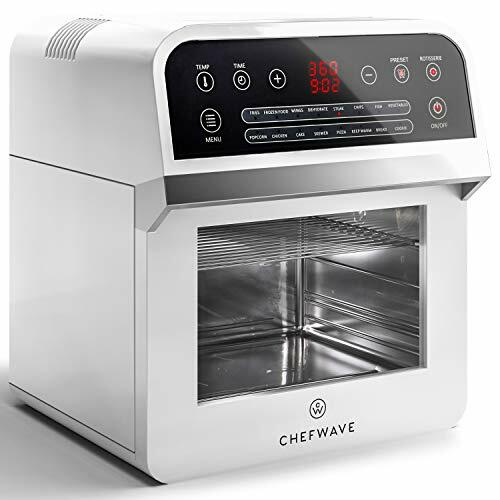 Easily cook nearly any meal with its 8 pre-set cooking options, efficient heat circulation, and a capacity large enough for a whole chicken! Select what’s for dinner on the LCD touchscreen and cater a convenient yet delicious meal to the whole family! 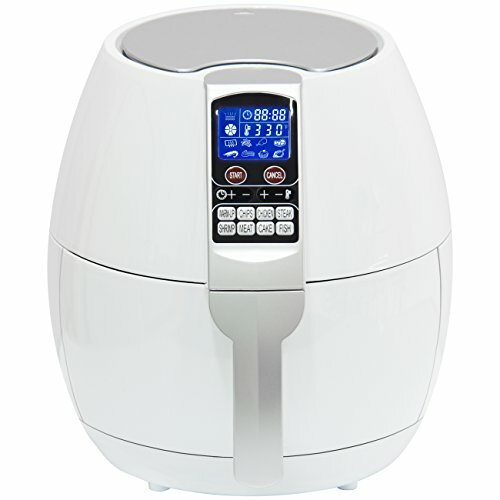 LARGE CAPACITY: 8-in-1 air fryer oven makes cooking for the family easier, with enough capacity to fit a whole chicken! 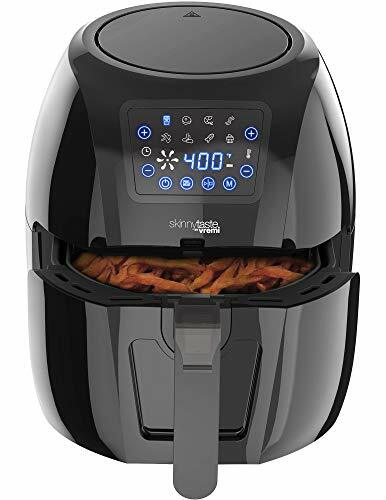 The newest rapid air technology circulates hot air with tiny oil droplets, cooking up a variety of your favorite fried foods without unwanted fats and oils. 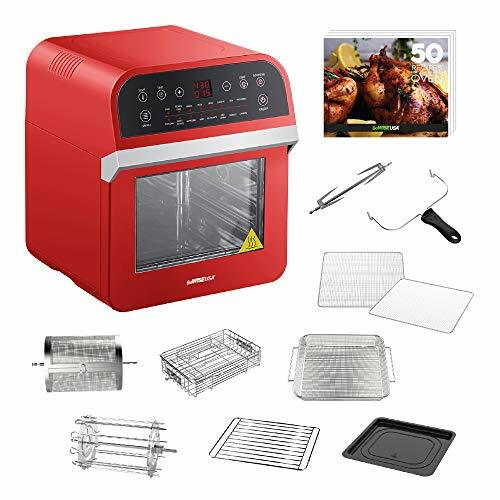 VERSATILE FUNCTIONALITY: 8-piece cooking essential has a defrost function, preheat function, and 360-degree rotating system for preparing delicious, rotisserie-style food, while its dehydration function includes 3 roasting racks to dehydrate fruit, veggies, beef jerky, and more for up to 8+ hours! 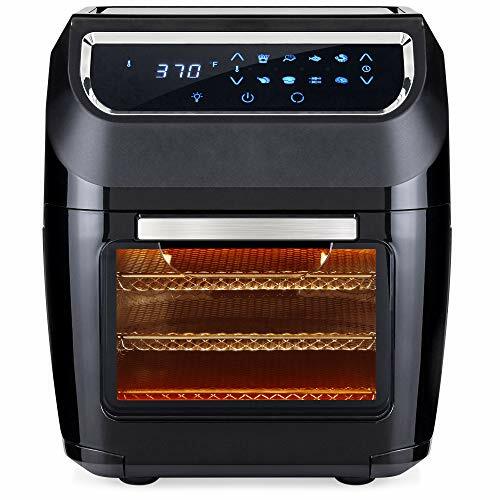 CONVENIENT DESIGN: The oven style door has a large window and can be easily removed, making it easy to monitor food in the cooking process without interrupting it by letting heat out. The included baking tray also serves as a drip tray to catch excess fat and oil. BUILT FOR SAFETY: Avoid the unpleasant smell of plastic, as this device is built with an FDA-grade galvanized-steel inside wall. Further ensure safety with features such as non-slip feet, heat-resistant housing, an auto shut-off function, and overheat and micro-switch protection.